Flared legs add a hint of Asian influence to the contemporary style of this sophisticated, ebony stained media fireplace. Negative space of the deep, exposed shelving opens up this streamlined design while creating ample storage. Use the media shelf for storing consoles, and the six side shelves for showcasing your favorite entertainment and decorative items. 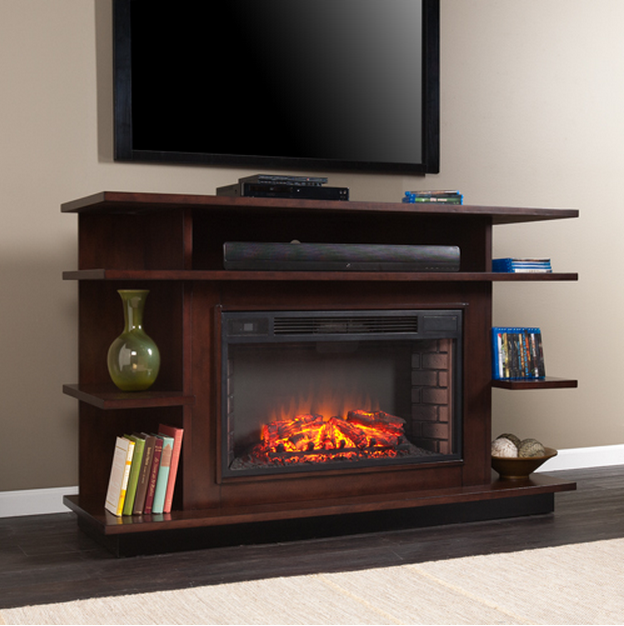 The widescreen firebox has realistic, multicolor flames and glowing embers with an interior brick design for a more lifelike look. 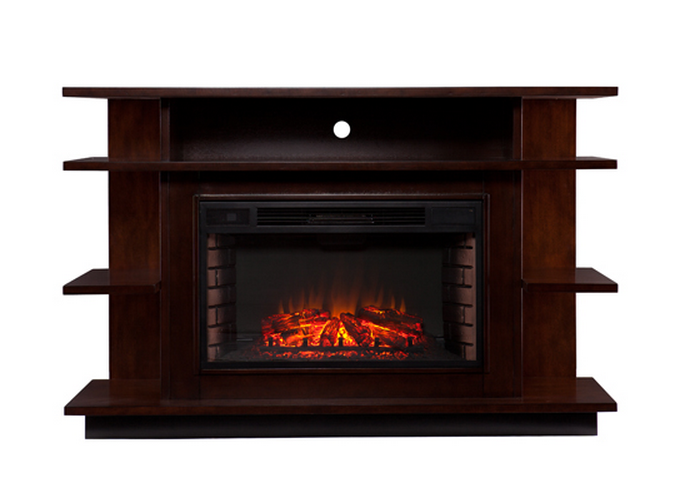 This electric fireplace features energy efficient LED and requires no professional installation, making it a cost effective way to upgrade your living or media room. 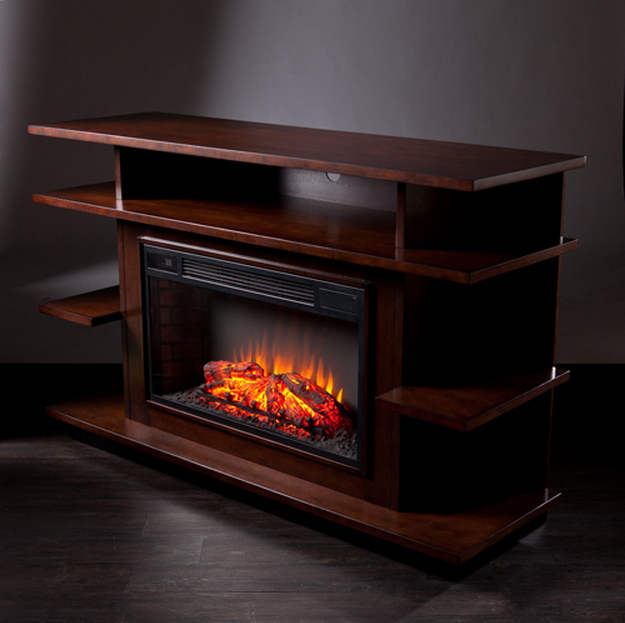 Easy to use remote control offers 4-way adjustability to warm the room conveniently. Safety features include automatic shutoff and glass that remains cool to the touch. 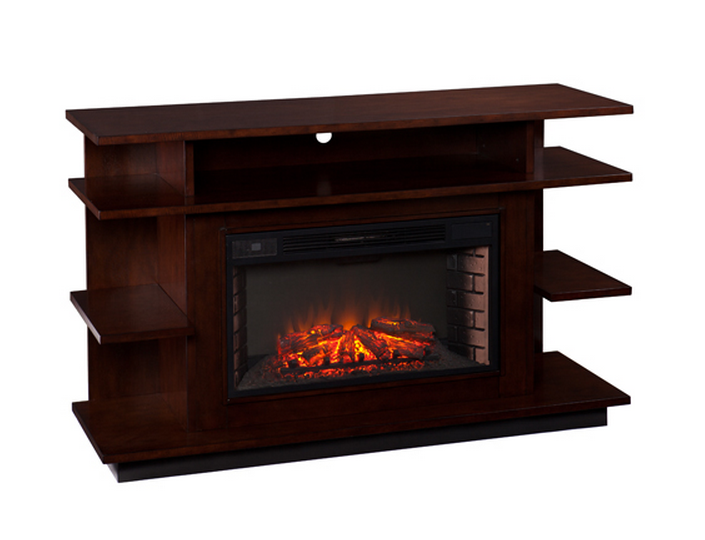 Turn off the heat to enjoy the fireplace ambiance year round!